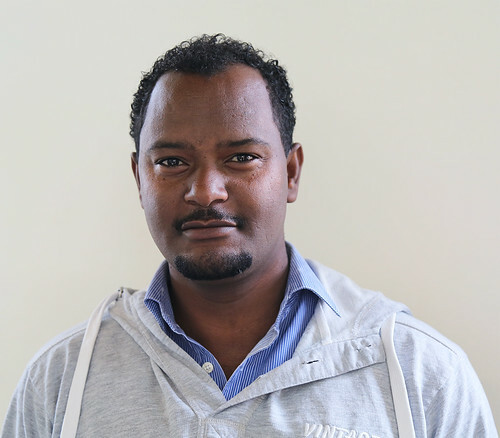 Tesfahun Alemayehu, socio-economic research officer at the International Livestock Research Institute (ILRI) in Addis Ababa, introduces himself and his work with the program. It is one of a series of portraits of key people in Africa Chicken Genetic Gains (ACGG). After earning my BSc Degree in Natural Resource Economics and Management from Mekelle University, Ethiopia, I have completed two graduate programmes (A collaborative Masters Degree in Agriculture and Applied Economics from University of Malawi and University of Pretoria; and another one on Environmental Economics and Natural Resource Management from Wageningen University and Research Centre). Sekota Dryland Agricultural Research Centre as part of the Amhara Region Agricultural Research Institute (ARARI), where I worked as research technical assistant and later as a researcher. 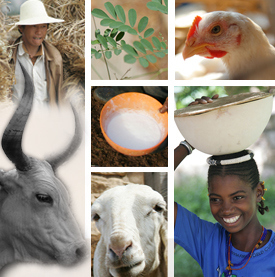 Before joining ILRI, I worked as a socio-economics researcher at the Water and Land Resource Centre (WLRC), Ethiopia. ACGG is a research for development project and within it, I’m a socio-economic research officer and my fundamental tasks focus on supporting socio-economic and gender aspects of the project, including design and implementation of socio-economic research activities; analysis, compilation and documentation of primary and secondary data; and writing and research reports. Right now we have finalized the baseline survey across the three project countries, including Sub-national zones etc. The data we collected has been put on the ILRI main server and I am currently working on the cleaning and analysis to inform the design of the upcoming on-farm and on-station chicken performance testing. Why this project matters and what gets you excited about this project? I think this project matters because it catalyses public-private partnerships (PPP) to improve smallholder chicken production and productivity in Nigeria, Tanzania and Ethiopia, and it is centered on women’s empowerment. If women are empowered, they start collecting revenue from this project and they will satisfy basic needs e.g. education of their children, housing and other household facilities. What causes some concern for you and how are you thinking of getting over this? The fact that the present project is implemented in three countries with local and global Institutions and its research for development approach makes it practically challenging. My initial concern was, hence, on how all ACGG actors could successfully translate the novel ideas to the improvement of the livelihoods for the millions of Africa poultry farmers. However, the ACGG team at ILRI and the respective countries have so far managed to smoothly implement planned activities of the project by nurturing strong public-private partnership and community engagement. This project is primarily intending to empower women and help them undertake entrepreneurial skills. If the livelihood of rural households in Sub-Saharan Africa improves by getting access to tropically adaptive and more productive chickens with help of functioning innovation platforms at grassroots level, then I should say the project is successful. I considered myself as a socio-economist who got the opportunity to work closely with professionals of diverse background including animal breeders, geneticists and informaticians among others and benefited a lot from their insights. I have also learned a lot about the wonderful cultures and norms of the three project countries through enormous excursions and working with national partners with valuable experience. Tags: socio-economics, Tesfahun Alemayehu. Bookmark the permalink. I quite agree with Tesfahun. Empowering women will strengthen family ties and achieve internationally agreed goals for development and sustainability. Good project I expect many things from this project specially in Ethiopia!!!! Have a nice work. A very laudable project, i pray it be a successful one. please i would love to be part of this project, and also see how the youth can be involved too, in smallholder poultry production. I wish to be contacted through my email address which i have provided. Thanks.